The Long Road Forward: Co-ops Supporting Co-ops – Part 2 | Small Farmers. Big Change. The situation was bleak, but the Fair Traders stood by Aprainores. A plan was put in place. Alex Flores, who had been working at the co-op for the previous year, was asked to take over its management. He had studied agronomy and business management in the U.S. and they believed that he possessed the necessary skills to turn things around. More importantly, Alex had grown to know the farmers and he cared deeply for them and their organization. Alex made a commitment to the farmers to help them succeed and promised the buyers that he would pay back the debt. It was a remarkable turnaround. By 2012, Aprainores had consolidated their co-op. They now had 55 members, Fair Trade and organic certifications, and a processing plant that employed 30 women from neighboring communities; the only source of employment in the area. They had two long-term Fair Trade buyers and each year, Alex has paid off some of their debt, along with the interest. The farmers supplement their income by fishing, growing corn, beans, and other subsistence crops. They still find work as day laborers on neighboring plantations. No one is quite making a living, but they have survived. 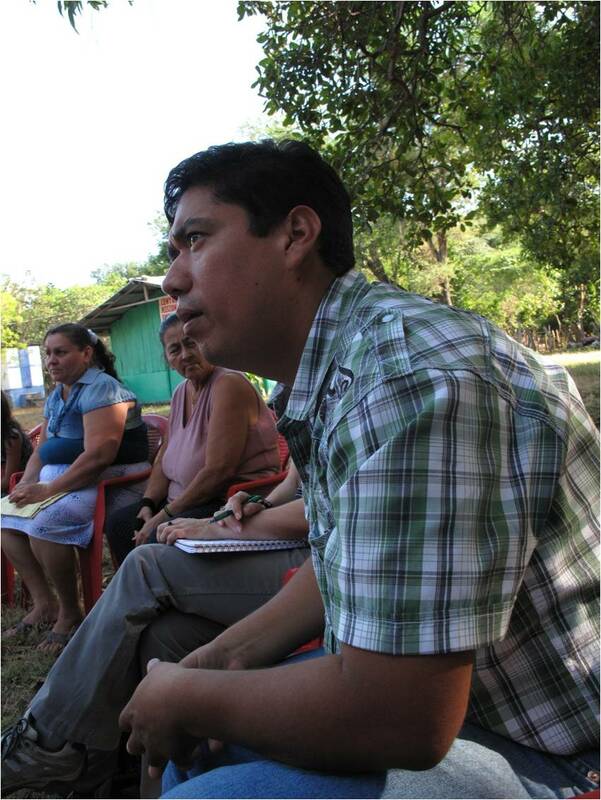 In 2012, Equal Exchange reaffirmed our commitment to small farmers and Authentic Fair Trade. Having built a successful model in coffee, we decided it was time to replicate our work, applying what we had done and what we had learned to a new product category. Throughout the world, nut and dried fruit co-operatives have formed to provide economic livelihoods for small farmers. In food co-ops, ethical consumers buy these products without information or knowledge about the products or the producers. Sadly, much of these nuts and dried fruits are bought off the commodity market: sales of these products do nothing to support alternative trade organizations with social missions, nor do the profits don’t even benefit small farmers or their associations. Our conclusion: it is time to make the connection between small nut and dried fruit producers and consumers in the North by building and strengthening these co-operative supply chains. When we tried our first sample of cashews from Aprainores, we knew we were on our way! Aprainores had already committed their harvest, but we managed to buy every last pound they could sell us. Within three weeks, the cashews had sold out. Our instincts were right on! We signed a contract to purchase twice that amount the following harvest and began working with another remarkable co-op, the Fair Trade Alliance of Kerala (FTAK) in India so we could have a year-round supply to keep the bins stocked. But as luck would have it, in March 2013, smack in the middle of the harvest, Alex called to tell us they had been hit by an unusual weather phenomenon; for three days, hurricane-like winds swept through eastern El Salvador. Occurring just at the time the cashew trees were in blossom, the winds knocked the budding flowers and incipient fruit off the trees. The processing plant was also damaged. Aprainores had lost 70% of their harvest. There would be no cashews from El Salvador that year. Read the end of this story here. Inspiring story! Impressive solidarity along the supply chain. Beautifully written! Its great to see so much history and context laid out in detail here. And its exciting to see this kind of collaboration taking shape. Great work, Phyllis. Thank you! Fantastic work, Phyllis. Thanks for supporting it and sharing it.